Laptop is important tool in life and work and it’ll be disastrous to lost files. All users should know how to rescue lost data from laptop. The coming out of laptop last century changed people’s opinions on computer. Laptop brings about convenience as well as changes to digital industry throughout the world. Laptop or notebook is featured by its high portability, freeing users from fixed location where the desktop is placed. Everything can be done on the go, such as checking emails, contact customers, prepare presentation for meetings, online shopping, etc. Laptop selling has been seeing an incredible growth since it became affordable to most users. Besides, many laptops are able to provide excellent configuration to meet all kinds of special needs. It keeps reducing size and weight to improve the portability. Thus, it’s not rare to see a laptop with pretty appearance and good configuration, which sells at low price. There is no doubt that laptop turns to one of the necessities either for work or school. Many customers tend to choose laptop for entertainment purpose, such as play games, surf the Internet. The widespread use of laptop leads to large amount of data stored on it. However, all digital products have lifespan and will fail after a certain time. For example, it may get damaged from collisions, liquid spills over it, components aging, etc. All these issue may cause loss of important data off hard drive. Besides, data on your PC may be removed by accidental operations like deletion, virus infection, partition inaccessible and more. Those devices which shuffle among different locations are exposed to higher risk. Then file loss will be nerve-wracking problem if there is not backup availale. When people come across the data loss issue, many will call the tech-support team which can’t handle file loss or offer effective solution to laptop data recovery. 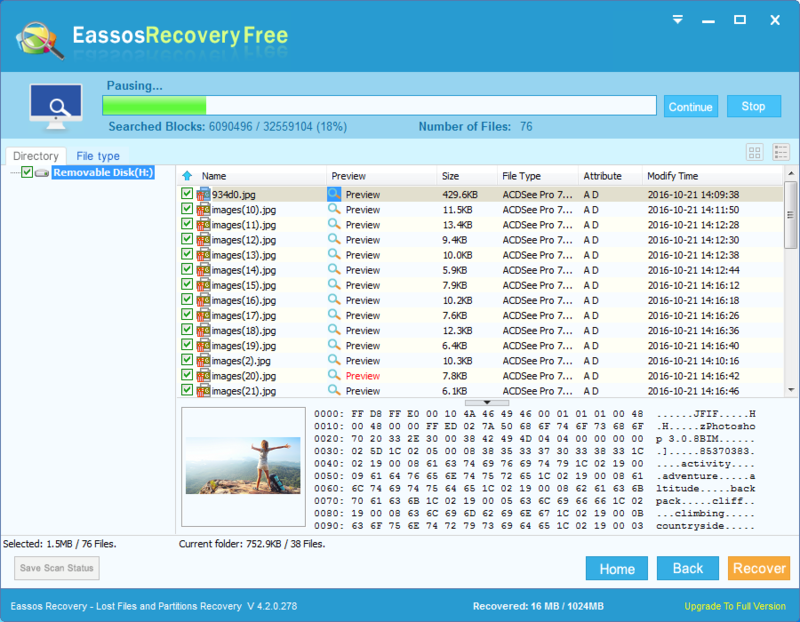 The correct action is search for free data recovery software. 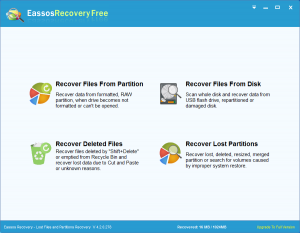 It’s not wise to purchase recovery software without try it out. Thus, it’s advised to find the free or trial version to test it. 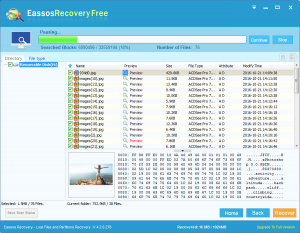 Eassos Recovery Free supports recovery of files from FAT12, FAT16, FAT32, exFAT and NTFS partitions. 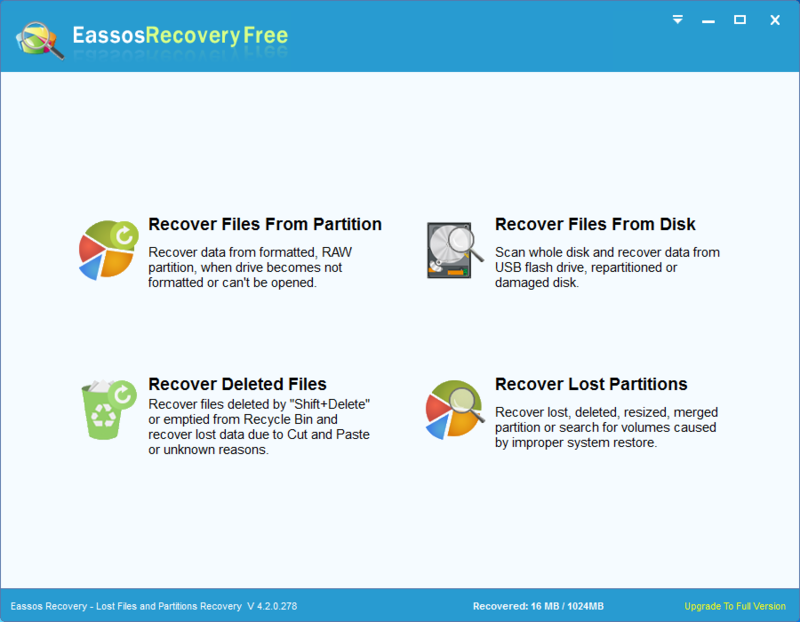 Its file recovery can be used to restore deleted, formatted or inaccessible data as well as data from lost partitions. The free version performs as well as the full version when it searches for lost data and preview file. 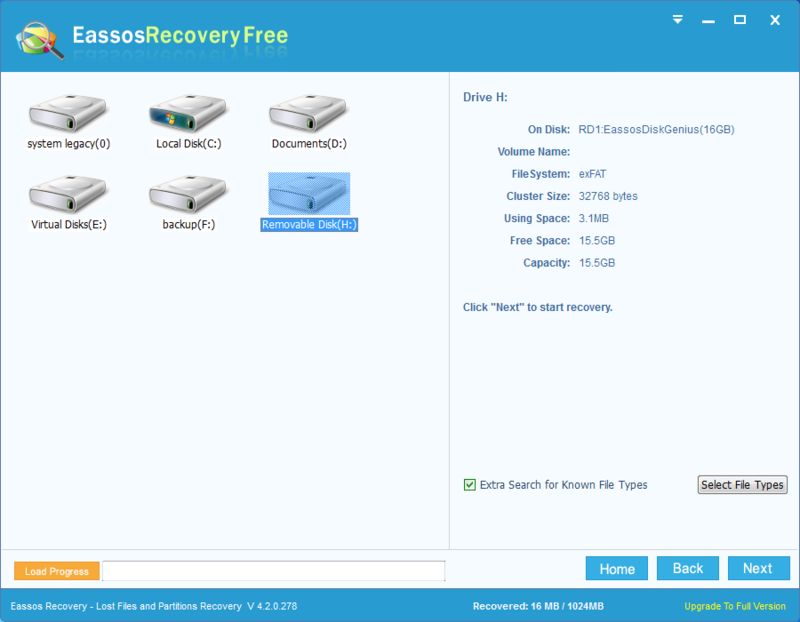 Step 1: Launch Eassos free data recovery software and select the recovery mode. Step 2: Select the disk where you lost data and click “Next” to start file searching. Step 3: Preview and save recovered data. When it scans for a while, the program will list files it just finds out and keeps updating the searching result until it finishes scanning. 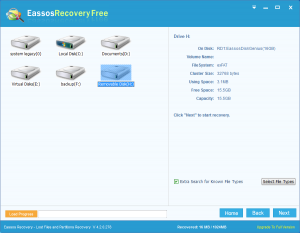 This entry was posted in Data Recovery and tagged free data recovery software, laptop data recovery by EASSOS. Bookmark the permalink.